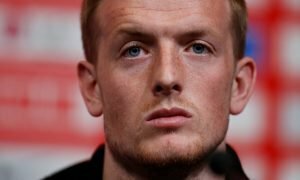 Landing £9m-rated forward would give Tottenham a wonderfully varied attack next season | The Transfer Tavern | News, breakdown and analysis on all things football! The Tottenham fans in and around the Transfer Tavern are soon hoping that new faces start to arrive at the new ground because otherwise Spurs will again be title challengers rather than true contenders. 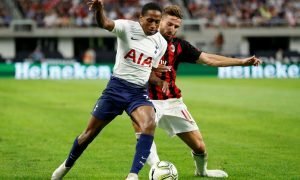 Having finished in the Champions League places once again, Tottenham have to ensure that the calibre of player they bring into the club is ready to be challenging for the title and Champions League success. Spurs have a great starting 11 but little in terms of depth, that’s why our punters think it’s very important that Tottenham recruit a player such as Valon Berisha, who is valued at £9 million on Transfermarkt. Currently playing his football with Europa League semi-finalists RB Leipzig, Berisha, like the rest of his team-mates, enjoyed a successful season. The 25-year-old scored 13 goals and bagged 11 assists in all competitions during his 45 appearances, which happens to be a brilliant record for a winger. Not only can Berisha be utilised in his favoured right-midfield position, he can also be selected to play in a role behind the striker, offering vital support to his team going forward. Tottenham don’t possess someone with that ability and buy signing Valon Berisha, although it’s not a high-profile name, could be an inspired move come the end of next season. Especially useful for rotational and challenging the likes of Dele Alli, Christian Eriksen and Son for a space in the team, Berisha will be full of confidence after the amazing season he has just had and would be ready to show the Premier League what he is capable of. Should Tottenham take a risk with the 25-year-old… Let us know!